Spacious 2BD 2BA manufactured home with attached direct garage access. Largest 2 BD Floor plan Canyon View has to offer includes formal living room, family room and dining area. Ceiling fans can be found in every bedroom as well as the living room which also has a large fireplace. 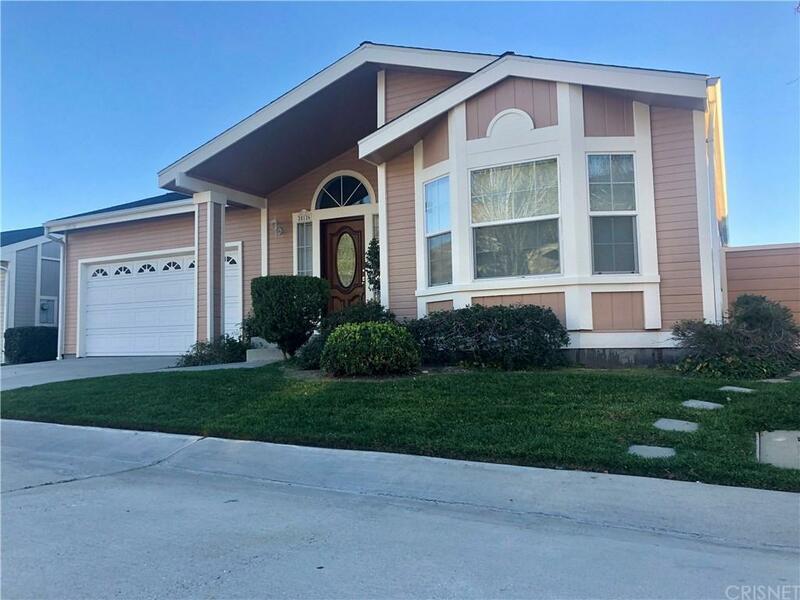 Home features include tile counter tops in kitchen,tile flooring in the bathrooms while the Kitchen, Living Room, Family Room and Dining Area boast rich laminate wood floors. All bedrooms have new carpet and entire interior of home has been painted. Master BD has an en-suite bathroom. Family room slider opens up to a beautifully landscaped rear yard with amazing city views. Two car garage has built in storage. This home is located in Canyon View Estates and has a current monthly land lease of $1,447.97 per month which includes community amenities such as a 24 hour gate, usage of 2 pools and spa, 2 sport courts, and 2 play areas. Canyon View also offers a community clubhouse and RV storage. Home is located near parks, bike & walking paths, shopping & entertainment, and schools. Easy freeway and Metro-link access. Home is a must see! Please submit pre-approval along with proof of funds with offer. Buyer to verify all before close of escrow. SO:Julie Shin & Associates, Inc.